The Eminent EM8695 Wireless Gas Detector is suitable for use with the EM8610 / EM8605 wireless alarm system. When detecting gas, the EM8695 emits a loud signal (of 70 dB) and the alarm system is activated. The gas detector is powered via the mains. 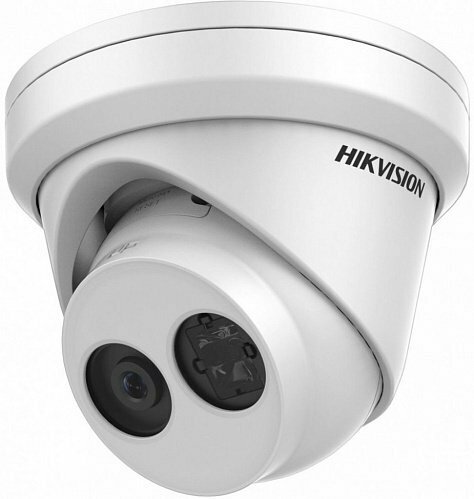 The Hikvision DS-2CD2122FWD-I dome camera 2 megapixel, IR Leds, is a vandal-proof dome camera. 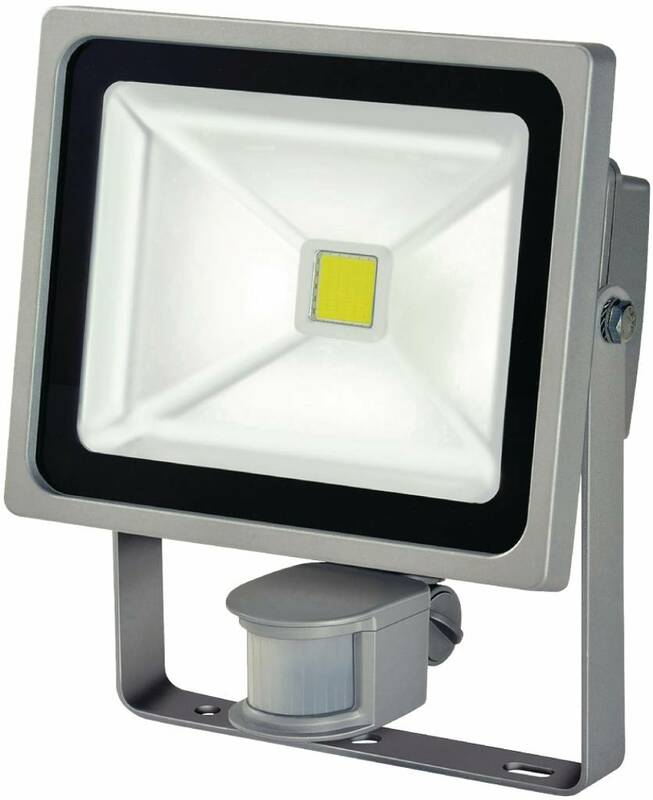 The light-sensitive 2 Megapixel 1/3 "CMOS sensor, in combination with a mechanical IR filter and the built-in LEDs provide perfect images even in the dark. 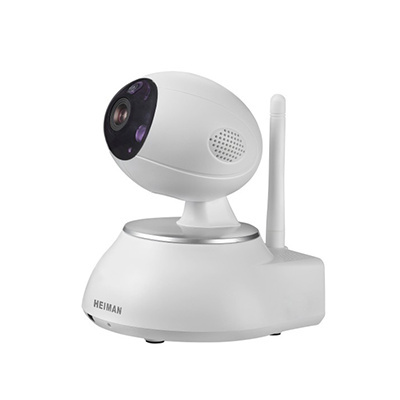 The hikvision DS-2CD2120F-I Infrared mini dome camera is based on the latest DSP technology. This is a 2 megapixel camera with a vandalism proof housing. The camera can be connected via PoE or via 12 volt power supply. The Dahua IPC-HDBW4300R-Z is a compact dome camera 3 megapixel, IR Leds, 2.8-12mm motor zoom lens and a 120dB WDR function. This camera is therefore very light-sensitive. The correct zoom angle can easily be set by the motor zoom. 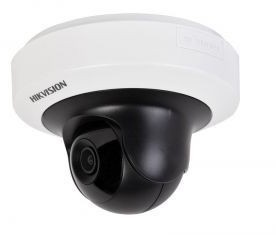 Hikvision DS-2CD2355FWD-I EXIR dome camera 5 mega pixel for indoor or outdoor use with infrared, 5 Mega pixel and is IP67. The camera is from the new Easy IP 2.0 series. 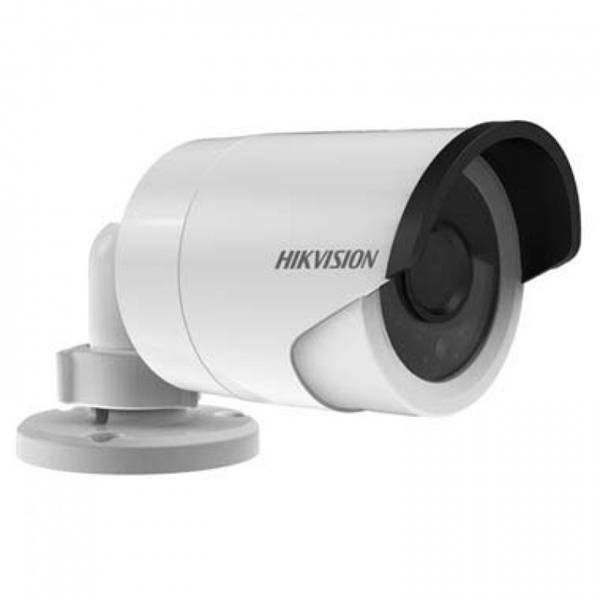 Hikvision DS-2CD2155FWD-I dome camera 5 megapixel for indoor or outdoor use with 30mtr infrared, 5 Megapixel and IP67. The camera comes from the new Easy ip 3.0 series. IPC-HFW4830EP-S 4K H.265 D / N IR Bullet 4mm lens, last 2! Dahua IPC-HFW4830EP-S 4K Bullet camera is suitable for the most diverse situations. The combination of 4K with an aspect ratio of 16: 9 in combination with the powerful image optimization functions ensures excellent picture quality. 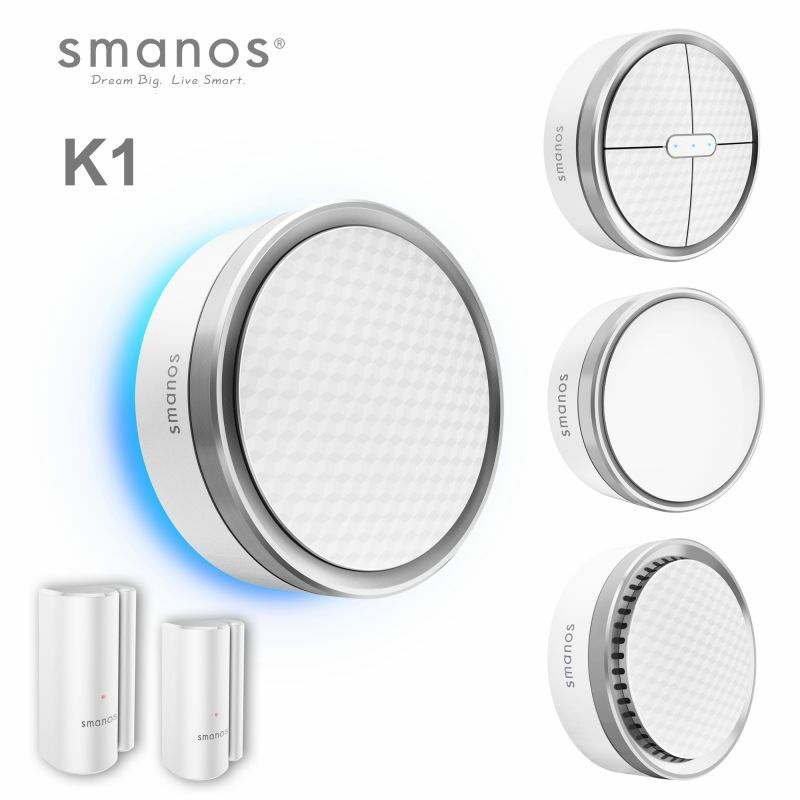 The K1 Smart Home System is the latest wireless and integrated Smart Home and security gateway of smanos that combines various security functions with sleek design that you are used to from Smanos.